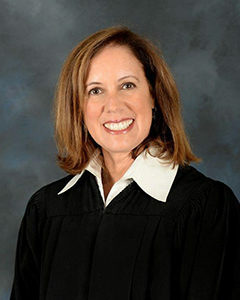 Judge Jessner was appointed by the Supreme Court as a CJEO member in 2017. Her judicial career began in 2007 when she was appointed to the Los Angeles County Superior Court. Judge Jessner’s judicial assignments have included civil and criminal trials, supervising judge of the mental health court, and assistant supervising judge of the civil division. She has also served at her court as the vice-chair of the technology committee, as the chair of the education and communications subcommittee of the technology committee and the mental health standing committee, and as a member of the judicial education, diversity, community outreach, civil operational planning, and commissioner selection committees. As a member of the California Judges Association, Judge Jessner is the vice-chair of the benefits and compensation committee. She has served the judicial branch and the public as a member of the Judicial Council Information Technology Advisory Committee where she is on the Projects subcommittee and is a liaison to the Civil Jury Instructions Advisory Committee. Judge Jessner is also a faculty member for the California Center for Judicial Education and Research where she is an instructor for New Judges Orientation and teaches qualifying judicial ethics.